Ned Vena: Paintings Without Borders 2, installation view, Contemporary Art Museum St. Louis, January 15–April 3, 2016. Photo: David Johnson. Paintings without Borders 2 is New York-based artist Ned Vena’s first solo museum exhibition, featuring new work made expressly for the artist’s presentation at CAM. Vena’s austere monochrome paintings and abstract compositions evoke a myriad of 20th-century influences from Kazimir Malevich to Frank Stella. Yet, despite his affinity with historical precedents, Vena is primarily known for his unconventional use of industrial materials and techniques, including Rust-Oleum paint and rotary cut vinyl stenciling. Vena’s act of replication suggests an assembly line, seemingly removing the artist’s hand. Upon closer inspection, however, each painting reveals the presence of distinct characteristics such as indentions, accretions and brushstrokes, demonstrating individuality within repetition. This body of work shifts Vena’s locus of visual rhetoric from modernism to absurdism and linguistic humor. Ned Vena (b. 1982, Boston) has had solo exhibitions at Project Native Informant, London (2015); Real Fine Arts, New York (2014); Clifton Benevento, New York (2012, 2010); White Flag Projects (2012); Midway Contemporary Art (2009); and Michael Benevento, Los Angeles (2011, 2009). Group exhibitions include Real Fine Arts, New York; Kunst Museum, Bonn (both 2015); and Francesca Minini, Milan; Fondazione Sandretto Re Rebaudengo, Turin; and Institute for Contemporary Arts, London (all 2014). 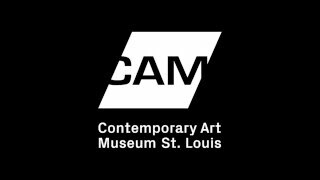 Ned Vena: Paintings Without Borders 2 is organized for the Contemporary Art Museum St. Louis by Jeffrey Uslip, Chief Curator. Special thanks to Société, Berlin, and Real Fine Arts, New York.